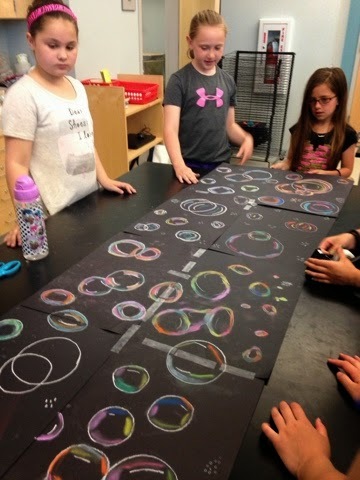 Ms. Nasser's Art Studio: Bubbles Bubbles Everywhere!! I recently saw this lesson on a few blogs ( The Lost Sock and Smart Class). It seemed like such a fun activity to try. 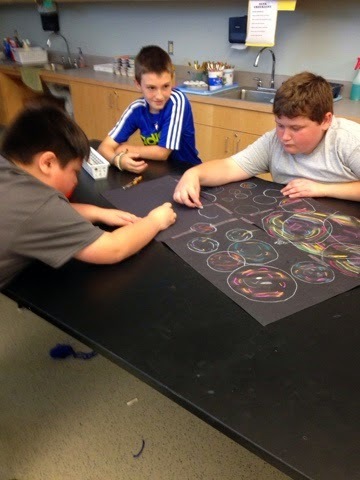 4th grades spent last week creating individual bubble art. 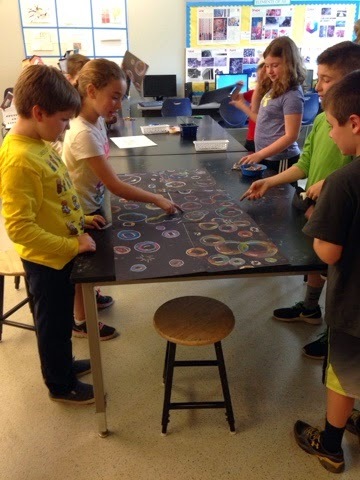 This week they joined their art with their tablemates and then joined up with an addition table. The groups worked so well together! !